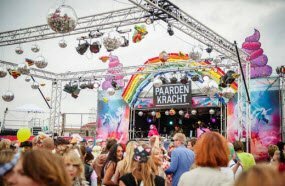 On May 5 Amsterdam celebrates the country's liberation from the Nazi regime with a smashing music festival. 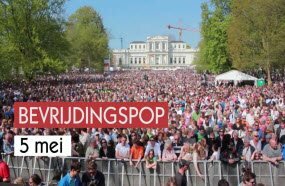 Music lover tourists who attend the Bevrijdingspop will enjoy concerts of local and international artists. Expect any genres from folk, indie to pop-rock. 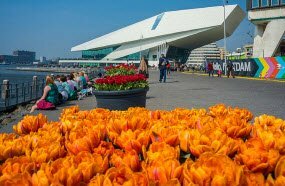 Spring always brings numerous programs to the city, this didn't happen otherwise in Amsterdam. The Rollende Keunke is a massive food festival which lasts one weekend. The Rollende Keunke attracts locals and tourists and offers a big rich table for everyone who adores delicious food. During the festival, the street is full of rolling kitchens offering street food and drink, like pizza, waffles and many more. Organized yearly since 2008, when the MTV sponsored the Valtifest, by now the festival had grown into one of main entertainment, music and dance events in Amsterdam. Tourists who are up for a day with partying heavily, are welcome to attend. Each year the Valtifest requires a specific dress code, so don't forget to dress up accordingly! The tulip is one the symbols of Netherlands, a flower that had a huge impact both on the country's history and economics. Each spring in April, Amsterdam celebrates the beauty of the tulip – around 800,000 tulips types, rare and the most known ones can be seen throughout Amsterdam in museum gardens, city institutions, parks and many places. For a few days in June, Amsterdam transforms into the city of delights. Organized yearly, the event showcases local vendors, restaurants and chefs who present food, dishes on stands. 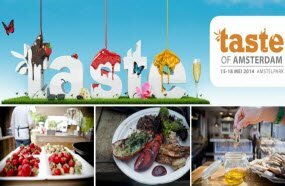 It is a great opportunity for both locals and tourists who are eager to discover the Dutch cuisine, wines. The program also includes workshops, wine tastings and a marketplace with full of local produce.